- Deep is ideal for darker skin tones. 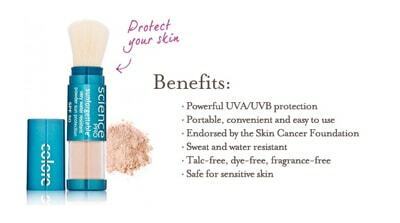 Colorescience Sunforgettable Loose Mineral Sunscreen Brush SPF 50 is a weightless powder that provides long-lasting SPF 50 sun protection. 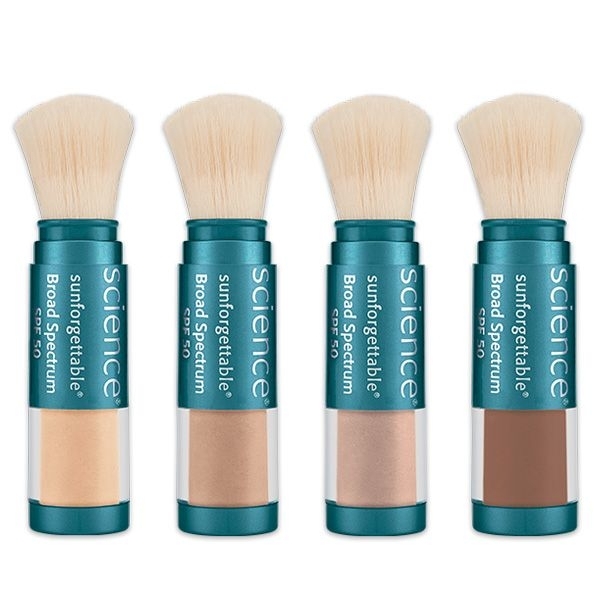 This brush-on mineral formula is free of dyes, chemicals, colorants and odors, making it ideal for anyone and everyone -- men, women, children, even people with rosacea or eczema. Deep is ideal for darker skin tones.